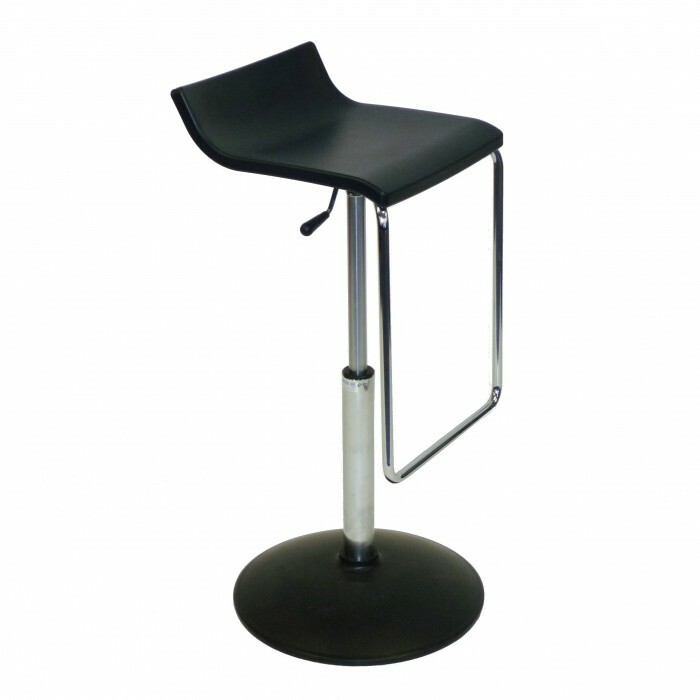 Stool Seat & Base : Black polypropylene. Seat Width : 340mm. Seat Height : Adjustable from 520mm to 770mm. Features : Contemporary design, gas lift, seat swivels. Ideal for : Exhibitions, weddings, shows, events, or wherever bar leaner tables or high reception counters are used.